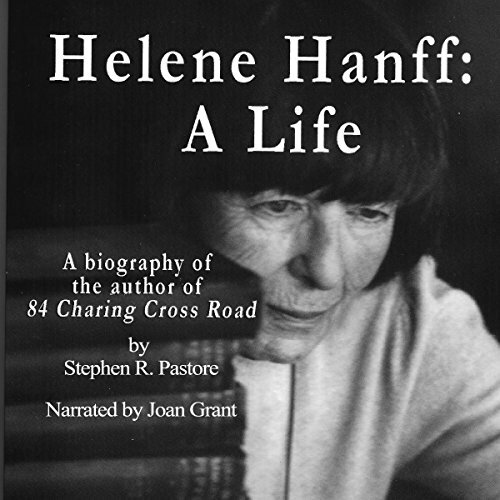 This is a biography of Helene Hanff, the author of 84 Charing Cross Road by a leading authority on her life and works. Pastore was a long-time friend and neighbor of Hanff and had access to her books, letters and relatives and friends. A biographer often faces difficult choices. Some choose to report only verifiable facts; others elaborate based on rumor, gossip, letters and sometimes mere guessing in an effort to liven up what used to be called a nonfiction genre but which is now referred to as creative nonfiction. Most biographers have the luxury of a dead subject; no one to complain, to explain, to elucidate, to obfuscate. I had a dear friend who was very much alive and very much a friend. I could have chosen to ignore her wishes about respecting her privacy and publish away. Or I could have chosen to respect her wishes even though I knew I would not publish anything until after her death. I chose the latter and I relied on her version of her life, omitting material she did not want made public and including material I had no way of verifying but which originated with her. Much of what is known about her is the result of sometimes outlandish guesswork circulated on the Internet (one of the most unreliable sources of information ever conceived by the mind of man.) Some sites have Helene as a lesbian; others as the mistress of a New York City politician. Some have her as a personal friend based on a visit with her in the lobby of her building; others claim intimate knowledge of her communist leanings based on Frank Doel's alleged friendship with a "Soviet spy". I feel it is the biographer's function to present as much truth as possible, to respect sources and to verify what can be verified. So nonsensical and self contradictory you won’t know any more about Helene after reading it. Did she drive or didn’t she? Did she move to the country and then back to the city? What hapened to her fiancé? Extremely irritating book but at least I learned to stay away from this judgmental author.